Six years old: Sweet and innocent. My mother probably made the dress. All was well with the universe and I still believed in the Tooth Fairy. Otherwise why would I have pulled out all my front teeth? 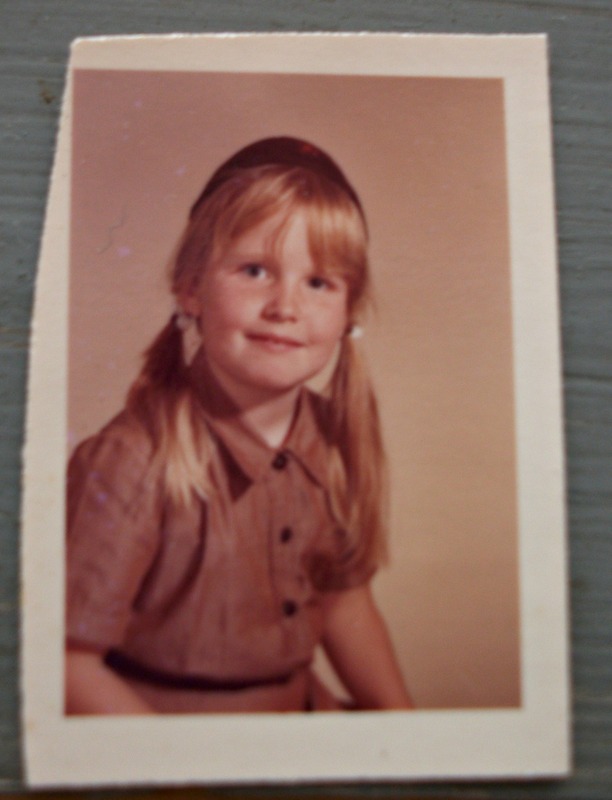 Seven years old: There never has been, and never will be, anything cooler than a Brownie uniform, complete with beanie. 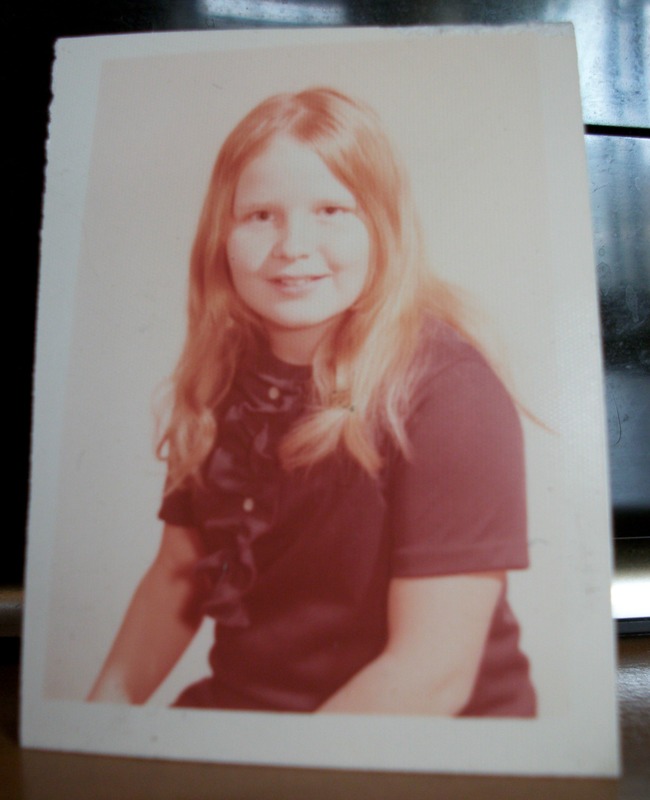 Eleven years old: At the time, I thought double knit polyester was the height of chic. Forgive me. I quickly saw the error of my ways and never touched the stuff again except for the uniform I had to wear when I worked in a restaurant in high school. In my defense, I always wore a cotton turtleneck under it. Fourteen years old: Having survived the brutal bullying of middle school, I thrive in high school. Flute lessons, cross country running, theater group, wonderful friends. The world was my oyster. 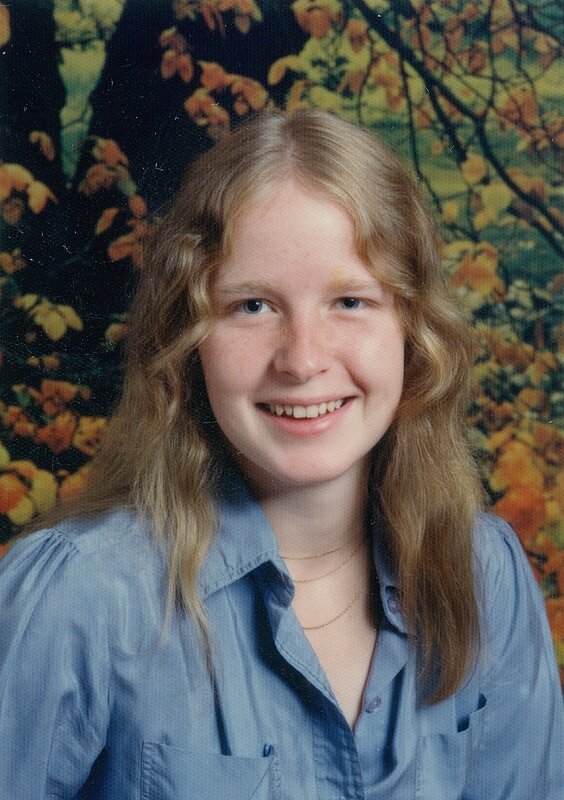 Sixteen years old: I thought the blue silk blouse was one of the most beautiful things I had ever seen. And I still do. Fifty years old: Gravity is taking its toll, my joints are rusting, my toenails have thickened. I seem to have lost my favorite gray cardigan and I don’t know why I put my keys in the fridge. On the other hand, I look back at these pictures and realize I was never as ugly as I thought I was. And blonde hair doesn’t go gray. And school pictures are no longer required. Perhaps all is still well with the universe. Bonus picture for Emily, because this was a good idea and I enjoyed doing it. Yes, shortalls… or is it overshorts? At least you’re in good company. What a flashback. Brownie? I didn’t know you were a Brownie. They wouldn’t let me into the Cub Scouts. Brownie, Girl Scout and a whole sash full of merit badges to boot. You didn’t know you were friends with a saint, did you? And the Cub Scouts accept neither brigands nor pirates. I am so glad I’m not the only one who succumbed to the allure of “overshorts” in middle school! Thank you so much for linking up with us this week! It’s great to know your blog is here. This was fun. 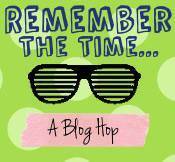 I had never heard of a blog hop before–I found it through the link on The Middlest Sister. Thanks for setting it up. 1. Pictures of kids without their front teeth are AWESOME! 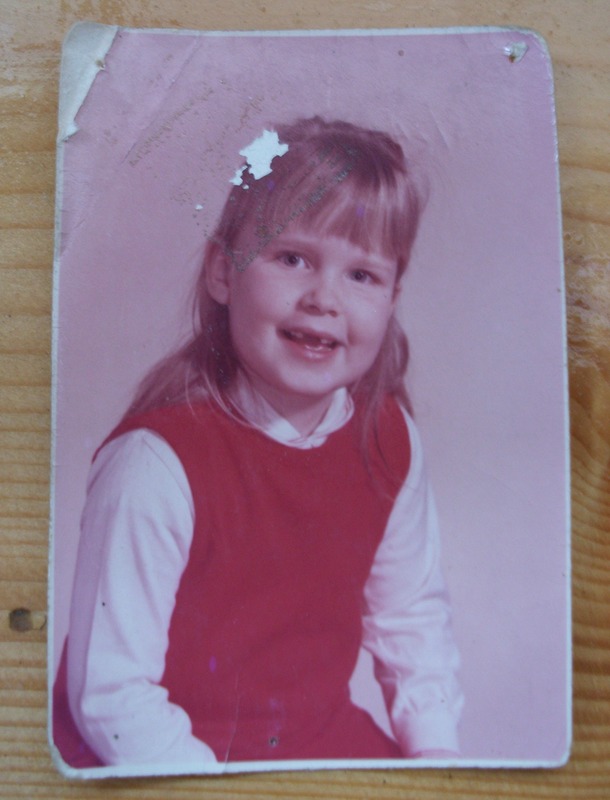 I was giddy when my daughter lost her front teeth right before Kindergarten picture day. It is the most adorable milestone ever. 2. 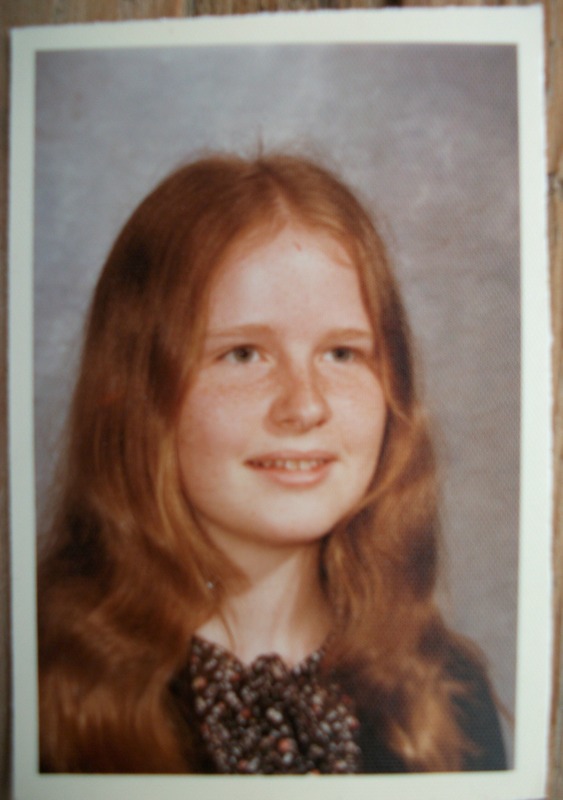 I don’t know why I love that you wore your Brownie uniform in your school photo so much, but I do. 3. I love what you said about looking at your photos and thinking your weren’t as ugly as you had thought. I look at my daughter and her friends now and think how beautiful children really are, and it’s sad to know that most of them won’t feel that way about themselves for one reason or another. Thanks for joining our blog hop this week! I enjoyed your pictures! Thanks for the thoughtful comments. It’s funny about the brownie uniform. I don’t really remember any of these pictures, but do remember being oh-so-proud of the uniform. And the beanie. I look forward to keeping in touch. Where are your badges with the Brownie uniform, that was my favorite part! Yeah, I sure loved that uniform. The badges came later–in Girl Scouts. So many years ago. I don’t know what ever became of them. 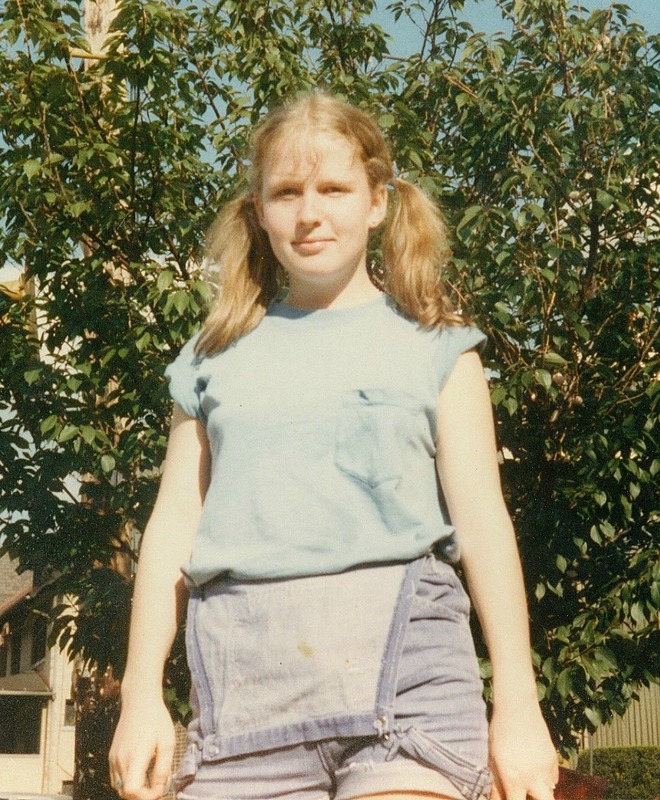 Shortalls were the height of fashion… and given that we’re the same age, I stand by that statement. Nice job. Thanks! Life begins at 50, yes? Girls need so much love, even after — years. You were (and still are) fabulously beautiful. Thank you, Margaret. Hugs and hugs to you.